Yes, even though it came out in America a month ago, London critics only this week finally caught up with The Five-year Engagement (which opens here a month from now). This reunion of the Forgetting Sarah Marshall's Nicholas Stoller and Jason Segel is another overlong but thoroughly enjoyable rom-com for grown-ups. Segel has terrific chemistry with a particularly charming Emily Blunt. And it's very funny. For contrast, we also saw Simon Pegg's one-man pitch-black comedy A Fantastic Fear of Everything, which is still under embargo. More high-brow fare came with Sarah Polley's second film as a director, Take This Waltz, an involving romantic drama starring Seth Rogen and the amazing Michelle Williams. Another film with a song title, Strawberry Fields is a slightly over-egged British drama about relationships and mental stabilty. Meanwhile from France, we had the breezily enjoyable social comedy The Women on the 6th Floor. But with London in the grip of gorgeous sunshine after a far-too-long break, everyone would rather be outside than watching movies. So my stack of review discs is getting perilously tall, and the only one I've managed to see has been Lovely Molly, a jumpy, unsettling but rather standard creep-out from one of the Blair Witch writer-directors. 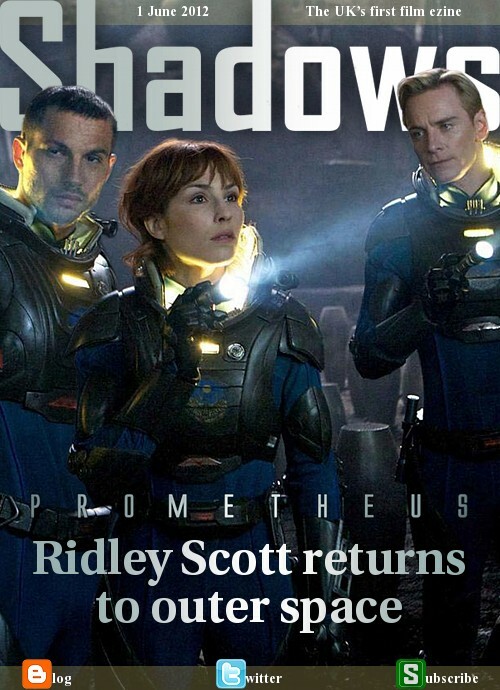 In the next few days, I'll catch up with Ridley Scott's return to Alien territory with the prequel Prometheus, Tom Cruise singing through Rock of Ages, and hopefully some of these discs, including Tony Kaye's Detachment, Willem Dafoe in The Hunter, Chloe Moretz in Hick, and Kim Ki-duk's Arirang. On the other hand, if the weather is this good over the four-day weekend, let the stack grow. Wes Anderson's new all-star quirk-fest Moonrise Kingdom was screened to London critics at the same time as its Cannes premiere. It opened the festival on May 16th, and is another surprisingly warm exploration of relationships through Anderson's distinctly yellow-hued eye. While many critics are in the South of France, London press screenings continue full-speed, including several that are still being screened very late in the schedule. 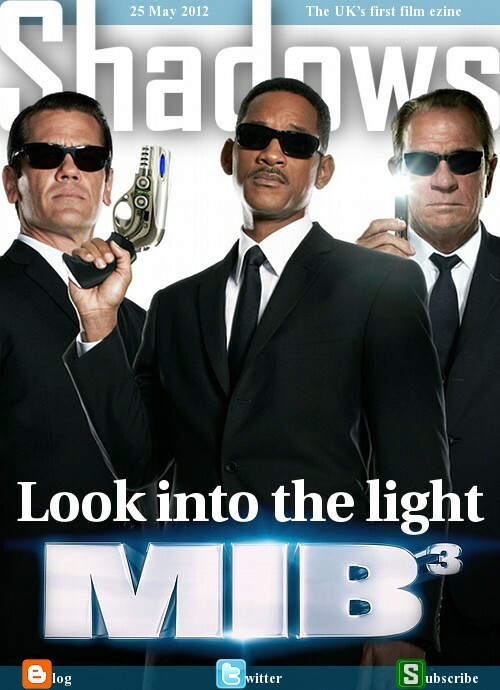 For example, Sony only showed us Men in Black 3 four days before it opens. Was that because it's not as funny as the first two films? It isn't, but still gives fans plenty to smile about. 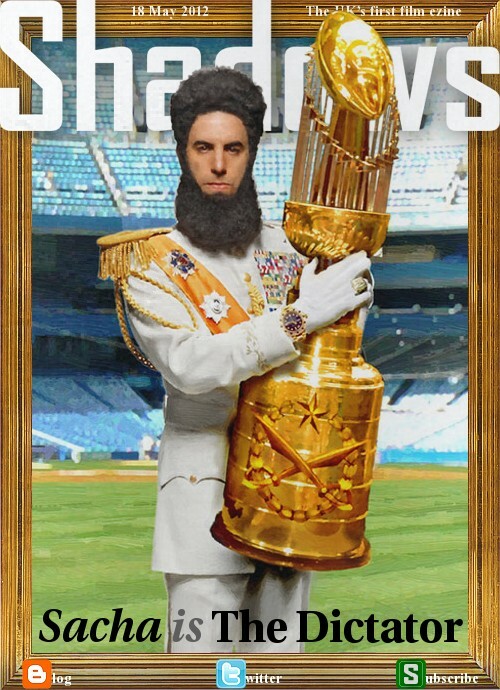 And Sacha Baron Cohen's The Dictator wasn't screened to us at all - we had to buy tickets, and were pleasantly surprised that it's actually a sharp, often gut-wrenchingly funny social comedy. The other biggie this week was Snow White and the Huntsman, starring the achingly on-trend Kristen Stewart and Chris Hemsworth, along with Charlize Theron as the beautiful-but-evil queen. Our comments on this one are embargoed until three days before it opens. Another Cannes entry screened in London was Ken Loach's enjoyable Scottish caper comedy The Angels' Share, which of course makes some strong social commentary in between the wacky (and somewhat contrived) antics and the serious drama. And from further off the beaten path, we had Bobcat Goldthwait's blisteringly hilarious God Bless America (a great double bill with The Dictator), Kristin Scott Thomas' latest involving-enigmatic French drama In Your Hands and the intriguing but slightly simplistic Christian-Muslim parable Where Do We Go Now? Coming up this week, we have Michelle Williams and Seth Rogen in Take This Waltz, Jason Segel and Emily Blunt in The Five-year Engagement, Simon Pegg in A Fantastic Fear of Everything, the all-star French comedy The Women on the 6th Floor, the Mormon drama Electrick Children, the British indie drama Strawberry Fields. Yes, UK critics were screened the all-star ensemble rom-com What to Expect When You're Expecting this past week, although our reviews are embargoed until five days after the film opens in the US. Seems a bit extreme, but there it is. Meanwhile, we had a very late press screening of Tim Burton's Dark Shadows, which almost gets the creepy-witty tone right even if the film's structure doesn't hang together. And we had to buy our own tickets to see the horror-comedy sequel Piranha 3DD, which many of us did because the first film was such a guilty-pleasure gem. Sadly, this one doesn't work on any level. Off the beaten path, we sa a range of films. There was the blackly comical but slow-building haunted hotel romp The Innkeepers, the inspiring but cliched British world-class athletes drama Fast Girls, the silly but amusing 3D animated feature Top Cat: The Movie, the wasted genius premise of Nazis invading from the moon in Iron Sky and, best of the week by a wide margin, the hugely engaging geriatric table tennis doc Ping Pong. This coming week we have some more very late screenings, including Sacha Baron Cohen's The Dictator, Will Smith's Men in Black 3 and Wes Anderson's Moonrise Kingdom. Squeaking in just a tiny bit earlier are Kristen Stewart's Snow White & the Huntsman and Ken Loach's The Angel's Share. And a bit further afield we have Willem Dafoe's The Hunter, Kristin Scott Thomas' In Your Hands and Nadine Labaki's Where Do We Go Now. Critical Week: Mel's got a gun! London critics were last week treated to a screening of Mel Gibson's new action romp, How I Spent My Summer Vacation, which isn't even being released in cinemas in the USA (where it's going straight to video with the title Get the Gringo). It's a mess, but fans of gratuitous, mindless violence will probably enjoy it. Speaking of mindless, filmmaker Todd Graff kind of wastes both his premise and cast in Joyful Noise, a church choir comedy starring Queen Latifah and Dolly Parton that's silly and warm but in dire need of some proper sass. In the prestige department, we had director James Marsh's cool, steady-handed IRA thriller Shadow Dancer, starring Andrea Riseborough and Clive Owen; the cool, rather dull futuristic romance Clone, with Matt Smith and Eva Green; and the cool, sleekly unsettling Colombian thriller The Hidden Face. And there were three docs as well, including the comprehensive theatrical edit of the thoroughly entertaining Woody Allen: A Documentary, the hugely endearing real-life adventure Mission to Lars, and the harrowing privatisation horror-doc Catastroika. 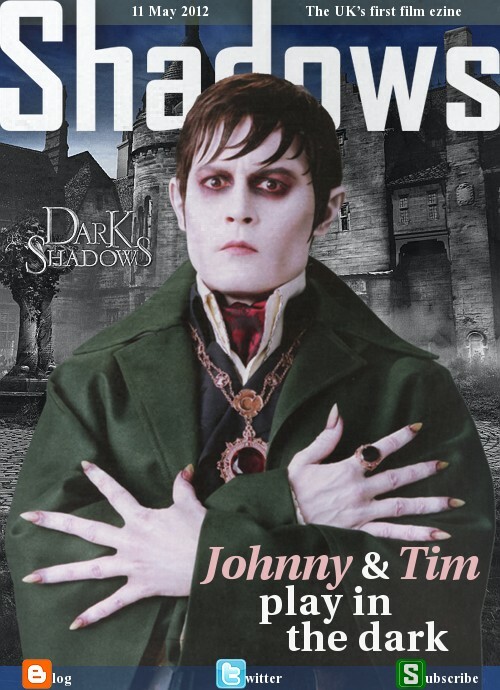 This coming week we have another very late press screening of Tim Burton's Dark Shadows, just a few days before it opens. We'll also see the ensemble rom-com What to Expect When You're Expecting, the acclaimed horror The Innkeepers, the British comedy Fast Girls, the animated feature Top Cat: The Movie, the Nazis on the moon romp Iron Sky, the Japanese drama Mitsuko Delivers, and a documentary about Ping Pong. While Sundance London was trundling along all week out at the O2, we still had the usual odd selection of press screenings to see back in Soho. One of the films was actually a Sundance Utah contender, Lynn Shelton's Your Sister's Sister, that wasn't in the London programme. It stars Rosemarie DeWitt and Mark Duplass (who were at Sundance London in Nobody Walks and Safety Not Guaranteed, respectively), plus Emily Blunt as three people who get into a contrived mess on holiday in an isolated cabin. It's enjoyable, even if the characters and situations are pretty unlikeable. More engaging was Jennifer Westfeldt's Friends With Kids (above), an insightful, hilarious comedy starring a terrific ensemble that includes Westfeldt, Adam Scott and half the cast of Bridesmaids (Maya Rudolph, Kristen Wiig, Jon Hamm and Chris O'Dowd). Further off the beaten path, we had the French WWII drama Free Men, a slightly dull account of a seriously amazing series of events in which Muslims hid Jews from the Nazis; the French drama Polisse, a riveting, well-played and rather sprawling look at the life and work of child protective officers; Sokurov's cluttered, outrageous adaptation of Goethe's Faust, which isn't easy to follow but is never dull; and the involving and moving, if a bit scruffy, Australian documentary Salute, which traces the fascinating events leading up to and the fallout from the American athletes who gave the black-power salute at the 1968 Mexico Olympics. This coming week will be quieter screening-wise as it's a long weekend here. Although if this revolting weather continues I'm going to want to stay in and watch movies. Here's what I have in the diary: Mel Gibson in the action romp How I Spent My Summer Vacation, Andrea Riseborough in the IRA drama Shadow Dancer, the Spanish thriller Hidden Face, the Metallica-fan doc Mission to Lars, and Woody Allen: A Documentary, which is rather self-explanatory.